Michael (The Triptych Chronicle Book 3) - Kindle edition by Prue Batten, Clare Batten, John Hudspith. Literature & Fiction Kindle eBooks @ Amazon.com. As Byzantium’s Angelid dynasty weakens, as Genoa and Pisa challenge Venice’s trading excellence, so merchants become thieves and murderers. Michael understands that to restore what is rightfully his, he must kill… or be killed. ‘An excellent book that flows with the prose that one expects from Batten with turns I didn't see coming. The attention to detail and the portrayal of Byzantine Constantinople is amazing.’ SJA Turney, author of both the Praetorian and Marius’ Mules series and of Caligula. 'Michael is a feast for the imagination and the senses. Batten shows her talent as an expert wordsmith by conjuring the medieval world of Constantinople through the travails of a protagonist who is nuanced and believable. Highly recommended.' 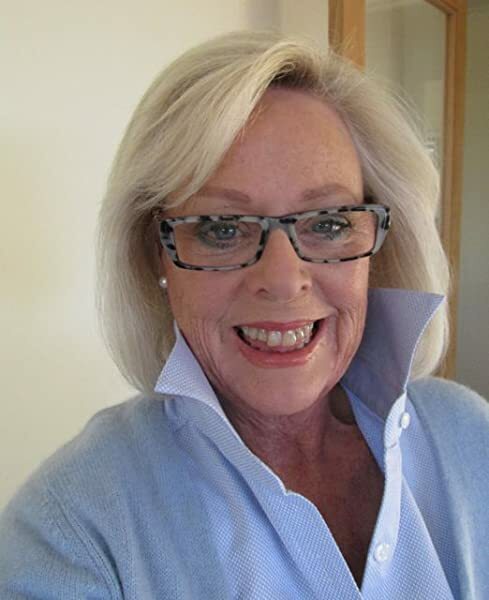 Elisabeth Storrs, award winning author of The Tales of Ancient Rome saga. It starts out as a historical novel about medieval Mediterranean trade, and becomes a frightening and violent race to rescue the long-lost daughter of Michael Sarapion, a supporting player in the first two novels of this trilogy. The Gisborne-ben Simon trading "family" is as full of the same strong emotions, shady personal histories, past mistakes, difficult loyalty, and patient love as any real family, and the family's invisible and unspoken bond forms the emotional center of the book. This makes the dreadful choices and the terrible cruelty more human and, if not forgivable, then more comprehensible. Every character has a beautifully imagined history and inner life; the relationships, even the violent ones, are complex and utterly believable. Prue Batten is famous for the strength and elegance of her prose, and the imagination, sympathy, and historical scholarship necessary to tell this story is strong proof of her gifts. 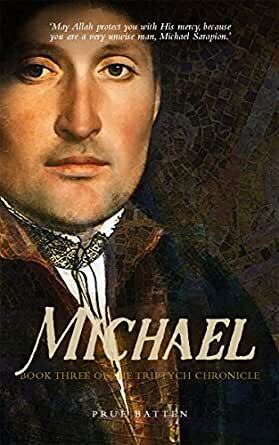 5.0 out of 5 stars"Michael" is Brilliant! Author Prue Batten never disappoints - "Michael" is brilliant! I was immersed in the sights, sounds and scents of medieval Constantinople, due to the very evocative writing. I was also invested in the characters, a clear picture of each of them in my mind to the degree that I was alternately happy for their good times, protective of them when they were attacked - and angry at the villains. Highly recommend! 5.0 out of 5 stars12th Century Byzantium: Heady, sensuous, and infused with danger. In Prue Batten's book, Michael. Book Three of The Triptych Chronicles, 12th Century Constantinople comes alive. Our senses are aroused by the delicious and evocative sounds, sights and smells of this glorious city - a melting pot of foreign traders, and a place rife with political machinations. It was here that the finest in luxury goods could be found. Everything from spices to the rarest and most exquisite of silks. Yet trading here was fraught with danger as Michael knows only too well. Working for a Venetian trading house, he enters the city on a special mission, but it is not merely for trade. He has something far more important on his mind. The author's writing style takes us effortlessly through the various Quarters of the city as we follow Michael in his quest. Pitted against evil, will he find what he is searching for? Well reccommended.